All content on this Web Site, including, but not limited to text, images, illustrations, audio clips, and video clips, is protected by copyrights, trademarks, service marks, and/or other intellectual property rights (which are governed by U.S. and worldwide copyright laws and treaty provisions, privacy and publicity laws, and communication regulations and statutes), and are owned and controlled by Stratagem Technical Services, LLC or its affiliates, or by third party content providers, merchants, sponsors and licensors (collectively "Providers") that have licensed their content or the right to market their products and/or services to Stratagem Technical Services, LLC. Content on this Web Site is solely for your personal, non-commercial use. You may print a copy of the Content and/or information contained herein for your personal, non-commercial use only, but you may not copy, reproduce, republish, upload, post, transmit, distribute, and/or exploit the Content or information in any way (including by e-mail or other electronic means) for commercial use without the prior written consent of Stratagem Technical Services, LLC You may request consent by faxing a request to our office, (203) 304-2074. Without the prior written consent of Stratagem Technical Services, LLC your modification of the Content, use of the Content on any other web site or networked computer environment, or use of the Content for any purpose other than personal, non-commercial use, violates the rights of the owners of Stratagem Technical Services, LLC copyrights, trademarks or service marks and other proprietary rights, and is prohibited. As a condition to your use of this Web Site, you warrant to Stratagem Technical Services, LLC that you will not use our Web Site for any purpose that is unlawful or prohibited by these Terms, including without limitation the posting or transmitting any threatening, libelous, defamatory, obscene, scandalous, inflammatory, pornographic, or profane material. If you violate any of these Terms, your permission to use our Web Site immediately terminates without the necessity of any notice. Stratagem Technical Services, LLC retains the right to deny access to anyone at its discretion for any reason, including for violation of these Terms. You may not use on your web site any trademarks, service marks or copyrighted materials appearing on this Web Site, including but not limited to any logos or characters, without the express written consent of the owner of the mark or copyright. You may not frame or otherwise incorporate into another web site any of the Content or other materials on this Web Site without prior written consent of Stratagem Technical Services, LLC. The site may contain links to other sites hosted and/or maintained by third parties. Stratagem Technical Services shall not be responsible for the content of any third party sites that may be linked to or from stratagemtech.com. These links are provided for your convenience, and you use them at your own risk. A link to a third party site is not an endorsement of any third party site or service. Stratagem Technical Services does not assume any responsibility or liability for the content or use of any third party site or any third party's products and/or services. Certain software ("software") that you may download from the site is the copyrighted works of Stratagem Technical Services. Your use of the software is governed by the terms of any end user license agreement that accompanies the online download process. You may use the software only in accordance with the terms of any accompanying license agreement, and you are prohibited from using, reproducing, copying, in whole or in part, distributing, decompiling, decrypting, reverse engineering, disassembling, displaying, downloading, storing, transmitting, distributing, selling or otherwise commercially exploiting any part of the software. Any third party software you may download via the site is subject to the terms and conditions of the third party's license agreement with you, if any. You hereby assure Stratagem Technical Services that you will not sublicense, export, or transfer ownership rights in the Software. In addition, you agree that you shall not violate any laws or regulations regarding the export or distribution of software outside the United States, including, but not limited to, encryption software. You agree to indemnify and hold harmless Stratagem Technical Services, its subsidiaries and affiliates, and their respective officers, employees and agents, from any and all third party claims or demands, including reasonable attorney's fees, arising out of your use of the site, your breach of these terms of service and/or your infringement of any intellectual property right(s). Stratagem Technical Services assumes no liability for any errors or omissions contained on or in the site. The site is offered to you on an "As Is" basis without a warranty of any kind, either express or implied, including without limitation, any warranty of merchantability or fitness for a particular purpose. STRATAGEM TECHNICAL SERVICES SHALL NOT BE LIABLE FOR ANY DIRECT, INDIRECT, SPECIAL, CONSEQUENTIAL, OR PUNITIVE DAMAGES, INCLUDING BUT NOT LIMITED TO LOST PROFITS, LOST SAVINGS OR LOST POSTAGE, ARISING OUT OF THE USE OR INABILITY TO USE THE SITE EVEN IF STRATAGEM TECHNICAL SERVICES HAS BEEN ADVISED OF THE POSSIBILITY OF SUCH DAMAGES. IN NO EVENT SHALL STRATAGEM TECHNICAL SERVICES' TOTAL LIABILITY TO YOU FOR ALL DAMAGES, LOSSES AND CAUSES OF ACTION OF ANY KIND RESULTING FROM YOUR USE OF THIS SITE, WHETHER IN CONTRACT, TORT OR OTHERWISE, EXCEED ONE DOLLAR ($1.00). Stratagem Technical Services' failure to enforce the strict performance of any provision of this Agreement will not constitute a waiver of its right to subsequently enforce such provision or any other provisions hereunder. The trademarks and service marks of Stratagem Technical Services are the intellectual property of Stratagem Technical Services and its affiliates and subsidiaries in the United States and certain foreign countries (collectively "marks"). All third party trademarks on the site are the property of their respective owners and are used with the owners' permission. Except as provided by applicable law, the marks may not be used and/or reproduced without the written permission of Stratagem Technical Services. Those uses that are authorized must comply with Stratagem Technical Services' trademark usage guidelines (provided when necessary upon request). All copyrightable material ("material") on the site, including, but not limited to, the arrangement and presentation of materials on the site, is protected under copyright law as the exclusive property of Stratagem Technical Services. The Material may not be used and/or reproduced without the written permission of Stratagem Technical Services. Any third party copyrighted material appearing on the Site is used with the owner's permission. Stratagem Technical Services will enforce its intellectual property rights to the fullest extent permitted under the law. 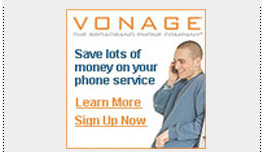 Vonage® is a revolutionary phone service that uses your broadband Internet connection to relay your voice over the Internet using a regular phone and an adapter. This is a technology known as VoIP (Voice over Internet Protocol). With the Vonage Premium Unlimited Plan you can make unlimited calls anywhere in the United States and Canada for the low price of $24.99 per month. While the Basic 500 Plan provides 500 Anytime Minutes for $14.99 per month. Order this service and set-up through us and you receive two months of service for Free! 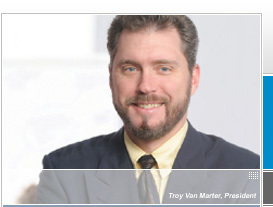 One month from Vonage and an additional month of service from us! Contact us for offer details.